What happens when you’re working with another WordPress developer, both developing a site locally, and someone updates the plugins on their local version? Their syntax and implementation may be different than yours if it was a major release. Suddenly, your local copy is broken. No fault of your own, just inconsistencies within the project. What do you do? How do you prevent that from happening? Let me present another scenario. Maybe this one will hit a little closer to home. Everytime you set up a WordPress site, you have to go through the same motions of downloading, installing, and activating a set of plugins. Maybe you’ve upped the ante a little bit and have a set of files on your local machine you just copy and paste everything over. Regardless, it’s still a pain when those plugins are updated. You have to visit each individual site, download the revised plugin code and replace the existing copy on your hard drive. There must be an easier way…and there is! 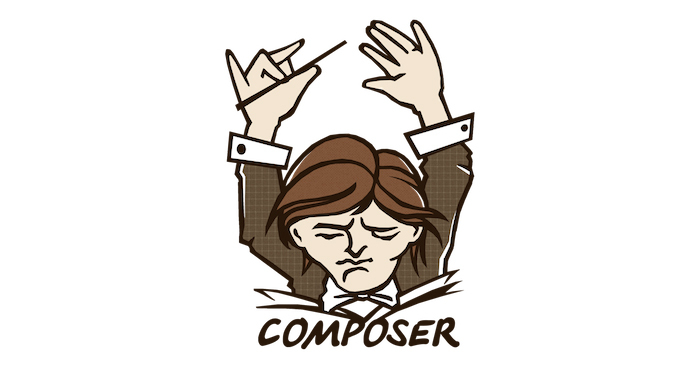 I’ve started using Composer in my workflow, now most of those headaches have evaporated. Let’s get Composer on your machine (COUGH Mac). If you visit Composer’s site, it will explain your options in more detail. My preference, though, was to install it globally so that the composer command can be run anywhere on your system. If the above fails due to permissions, run the mv line again with sudo. 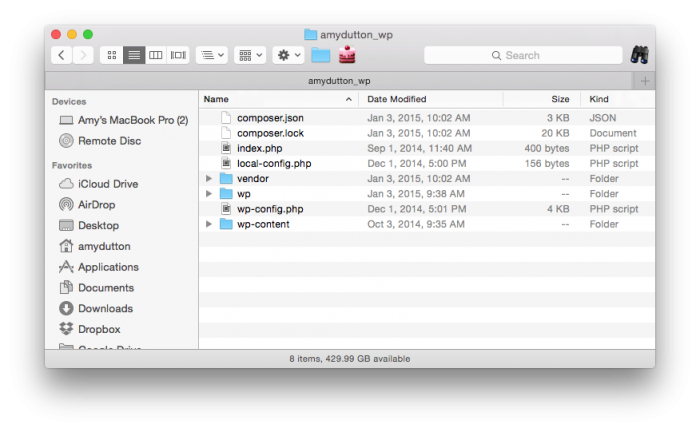 Within your WordPress project directory, create a file called composer.json. As the extension suggests, this is a preference file, written in json that describes the plugins you’ll be installing and their version numbers. Here’s my broilerplate. Feel free to copy it and use it as a stating point for your own projects. Let me walk through it line by line. The first few lines are pretty obvious. Name is the name of your project. You can replace ahaywood/PROJECTNAME with your information. Ideally, this should reflect your repo name. Under authors, you can change “Amy (Haywood) Dutton” and “email” to include your name and email address respectively. I’m going to jump down to line 27, where it reads extras. 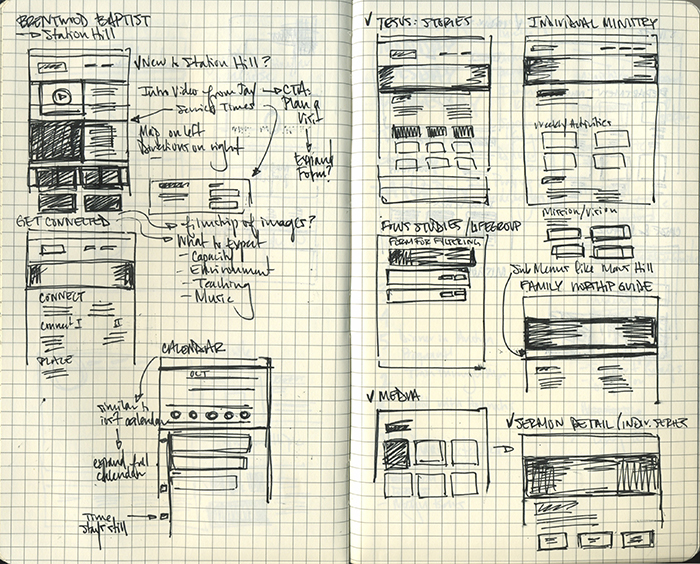 This defines the paths for both plugins and themes. As you can tell, I have a wp-content folder within the root that includes sub directories for plugins and themes. On line 33, I’ve listed all the plugins that the project requires. WP Packegist makes this easy. 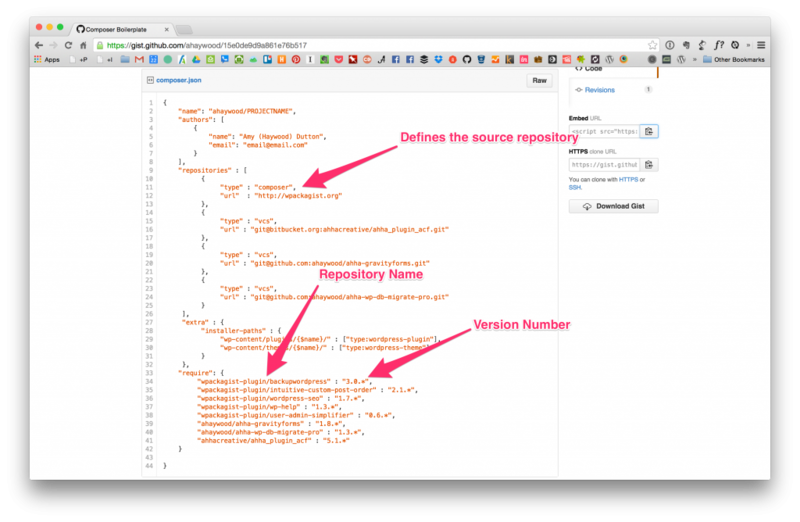 They mirror all the WordPress plugin and theme directories as Composer repositories. If you got to WordPress.org and find a plugin you want to implement, you can also find it on WP Packegist. 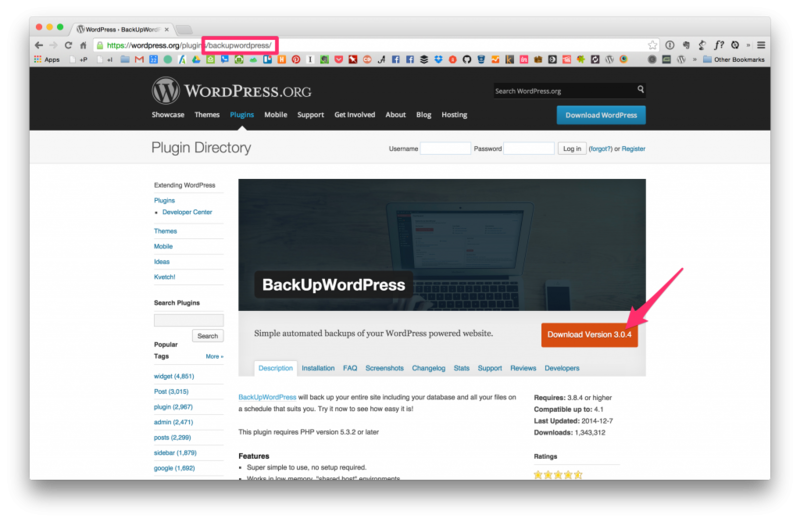 Take the first plugin I have listed: Backup WordPress. The part of the URL that comes after /plugin is the name of the WP Packegist repo. 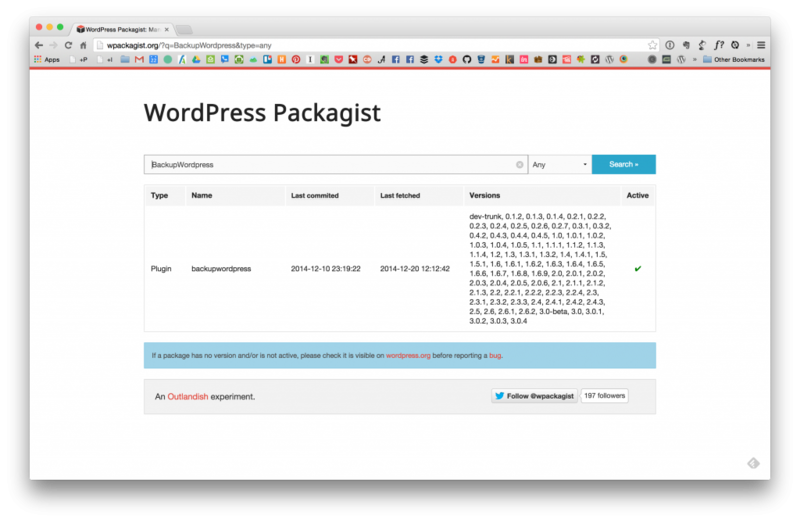 Line 34 includes the full name of the repository: “wpackagist-plugin/backupwordpress”. See the Pen Highlight WPackgist by Amy Dutton (@ahaywood) on CodePen. Just checking to see if you’re paying attention here. One of the cases I made for Composer was that it would lock down your plugin files. How does that work with wildcards and version numbers, obviously 3.0.1 and 3.0.4 are not the same. — For now you can just trust me or if it’s really bothering, skip down to the section where I talk about the composer.lock file. The only reason that Composer knows to look at WP Packegist for these packages, is because it’s defined as a reference on line 11 and 12. See the Pen Reference Wpackagist by Amy Dutton (@ahaywood) on CodePen. See the Pen Reference Repositories by Amy Dutton (@ahaywood) on CodePen. See the Pen XJpeYw by Amy Dutton (@ahaywood) on CodePen. 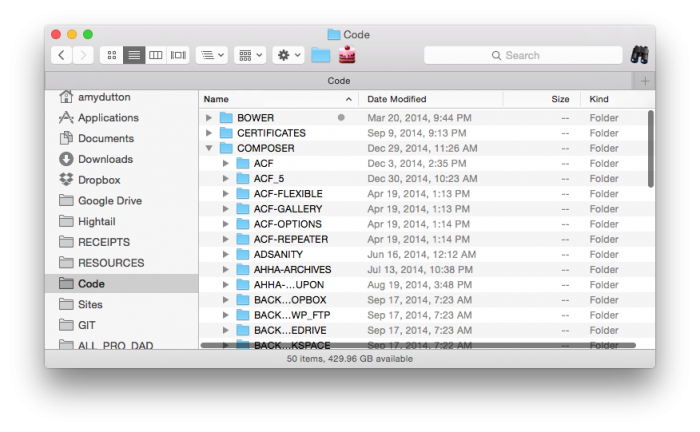 First, I tell Composer what type of files they are (vcs) and where they are located (url). See the Pen EaZwRq by Amy Dutton (@ahaywood) on CodePen. The URL is the SSH address, NOT HTTPS. 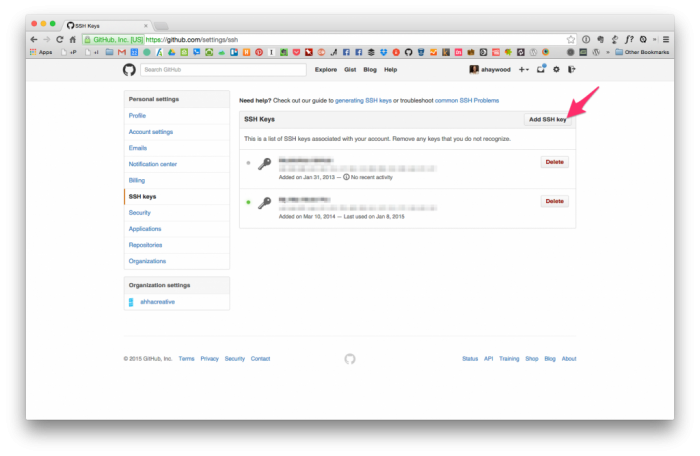 Now let’s talk about actually getting that plugin set up correctly on your BitBucket, GitHub, Beanstalk, or whatever account. Here’s what I do: Download the plugin code. Create a folder on my computer where this code can live. I actually have a folder called COMPOSER for this exact purpose. Add this folder as a local repository. My app of choice is Tower. 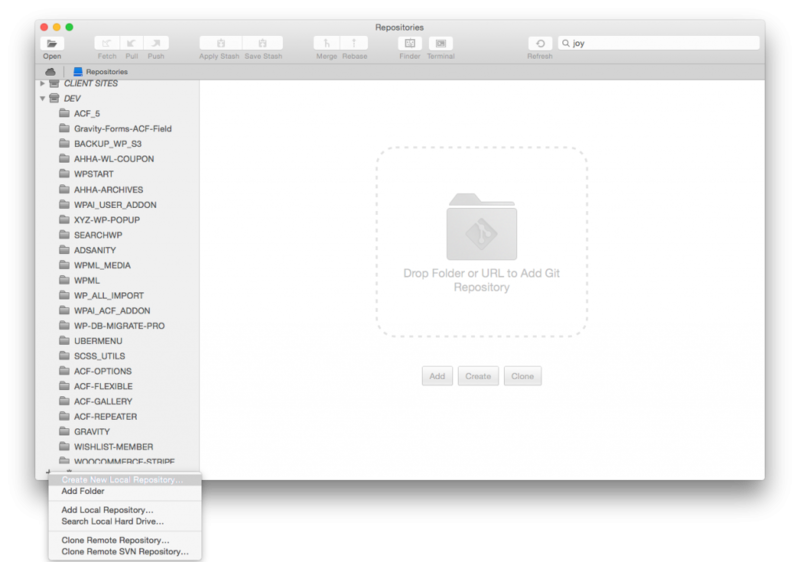 Then, create a remote repository and link it to your repository. Now, you’ll also need to create a tag for your commit. This relates to the version number you’re referencing in your composer.json file. I like for my numbers to match the develpers’ release numbers. 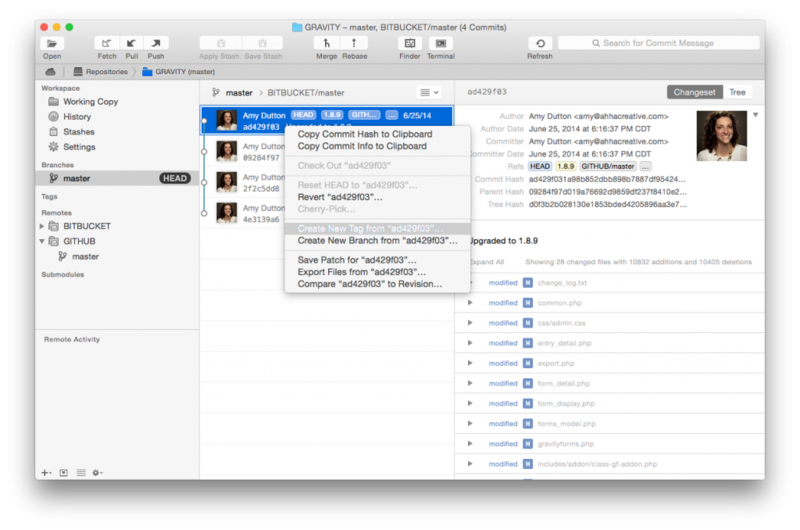 In Tower, you can click on the branch, then right click on a particular commit. Select “Create New Tag from…” in the drop down menu. 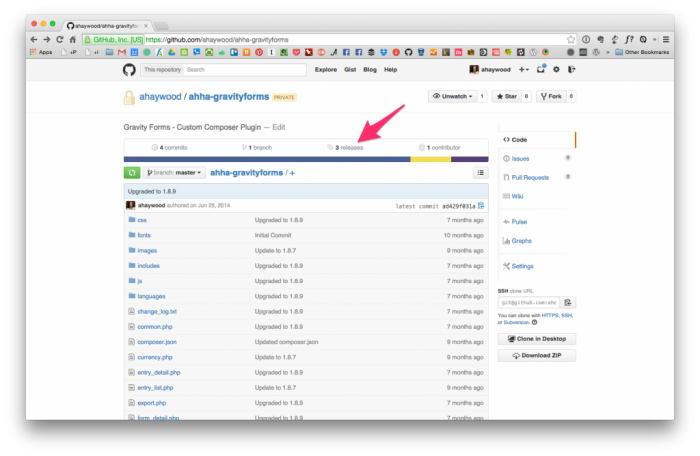 In GitHub, tags are referred to as releases. So, if you’d prefer to do it from their site, you can click on the Releases tab, then Draft a new release. When you get ready to update the plugin, simply download the latest release from the developers’ site, then replace all of the code in your local repository with theirs. 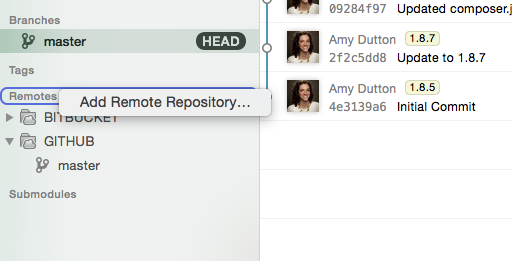 Commit it, tag it, and push it to your remote repository. Let’s download all these plugins and actually install them on WordPress. 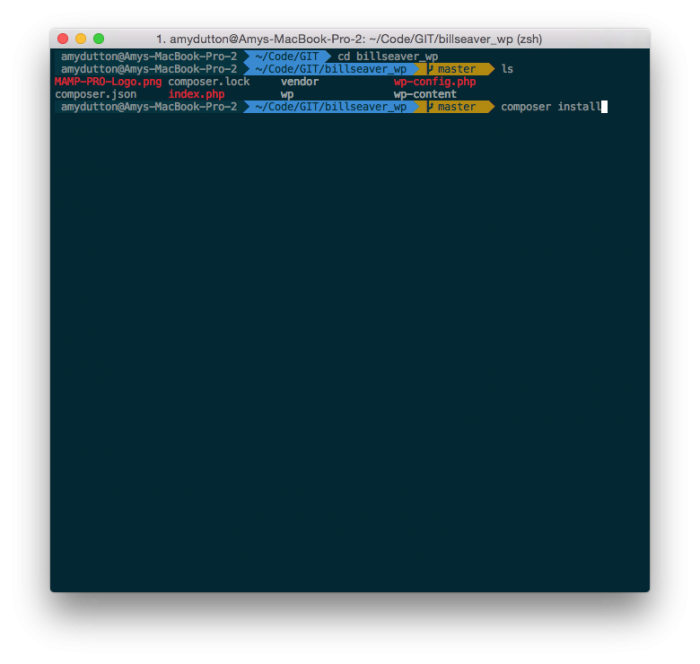 Within the root of your project folder, inside the Terminal, run composer install. It might take a while, but when it’s done, you can go to the Plugin screen of WordPress and activate all your plugins. If you get an error within the Terminal about not having the right privileges to download the plugins, it’s probably related to your SSH keys. 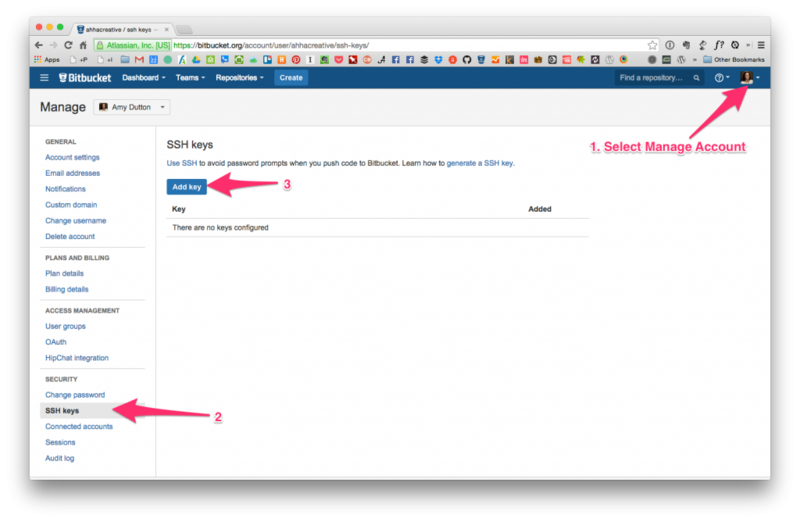 I actually wrote a blog post about Setting up a Site with SSH. I can’t tell you how many times I actually reference that post myself! The post refers to SpringLoops, but the same applies here. Scroll down to where it says, “First, you’ll need to check for existing SSH keys.” Once you copy the keys to your clipboard, you can go to your service of choice, find the section that says SSH keys, and paste them there. I just ran into an issue when I was trying to deploy my site via capistrano: No submodule mapping found in .gitmodules for path. You’ll also notice that now, in addition to your composer.json file, there should be a composer.lock file. This file locks things down. It records the exact version of the file being installed. If you want to update your site, simply go to the composer.json file, update the version numbers and then go to your project folder, inside the Terminal, and run composer update. Yep! That simple. 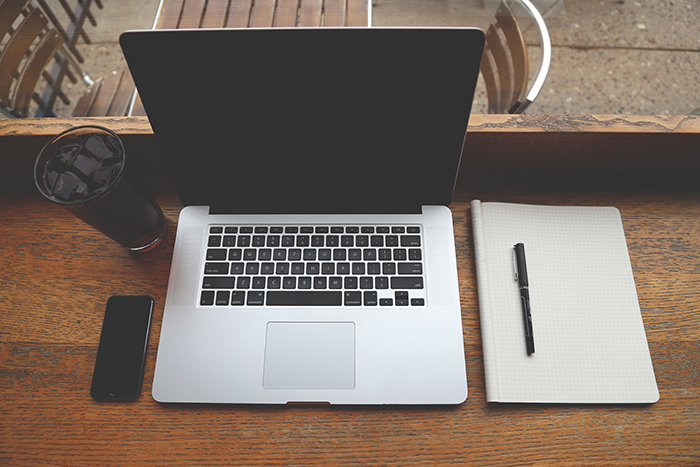 Create a WordPress project using Yeoman. 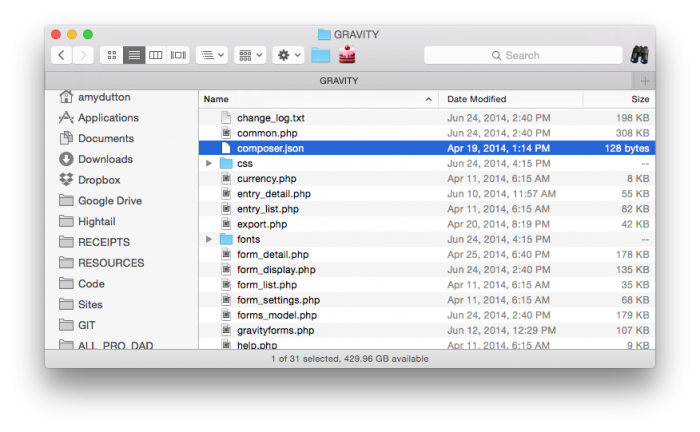 Within the root folder, create a composer.json file, copying and pasting my own GitHub boilerplate gist.